Died, on the 19th inst. [Jun 19] at his home in Moore County. Mr. Archd. 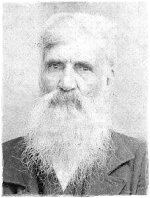 Leach, father of Neill Leach, aged 98 years. His parents brought him over from Scotland when he was but ten years old. He was one of Moore's best citizens, and has gone to his reward, peace to his ashes.